(Below - packed dancefloor to "Cupid Shuffle, Cha Cha Slide and Wobble". 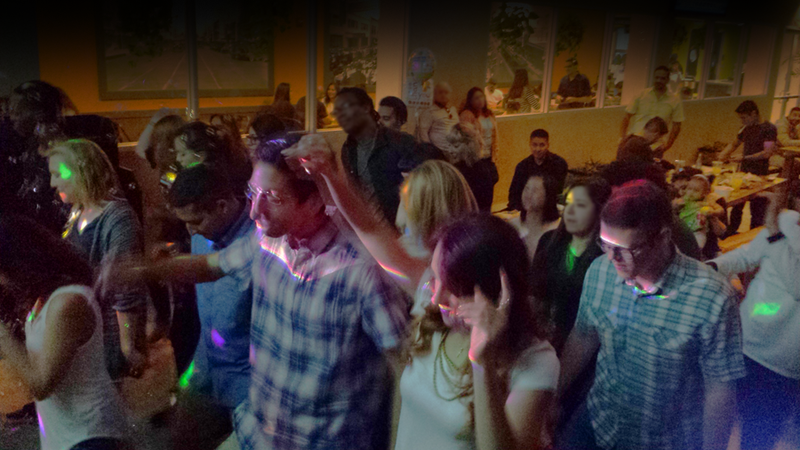 A couple of weeks ago we got into a bunch of disco, salsa and Bollywood, so anything is possible! We enjoy playing requests, just let us know what you want, it's that simple. Also, check out our 20' wide dance videos. We always bring great lighting for the dance floor. 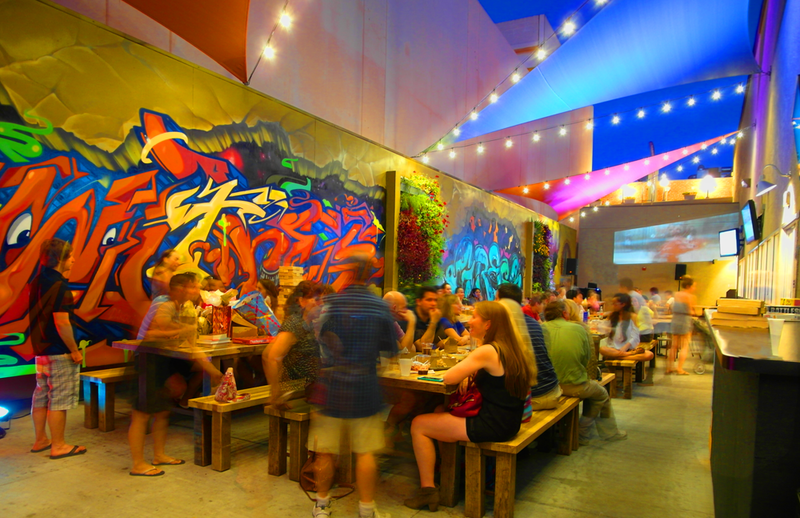 There are lot's of great places to get food inside then you can take your food outside to the patio for great music and dancing. Then it's back inside for desert and more cocktails, and outside for more dancing, board games and ping-pong. Always plenty of parking next door. It's a very family friendly hipster vibe. Art is the one of the Best DJ's around the OC!!! He has a great repertoire of music as well as audio equipment and lighting. He is very professional, honest and reliable - which is sometimes hard to find in this business. He is great with the crowd and is savvy enough to know what to play and what not to play. I appreciate his feedback and he is welcome to play anytime here @ the 4th Street Market... Thanks Art!! © 2017 Art Zippel All rights reserved.